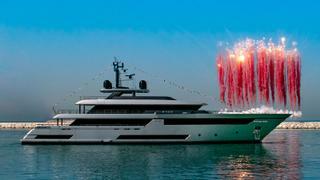 Riva has launched its first 50 metre superyacht, which has been named Race and is now the flagship of the Riva range. 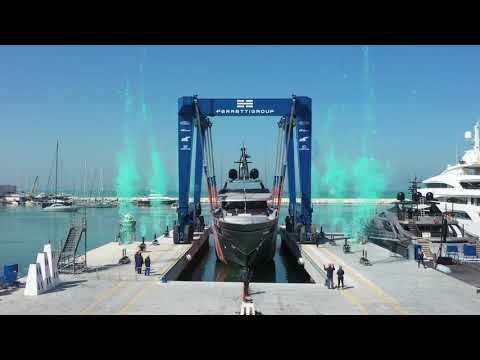 The theatrical launch took place at Riva's Ancona based shipyard. Race is set to make her official debut in June at the Venice Boat Show before attending the Monaco Yacht Show in September. Speaking at the launch, Ferretti Group chief executive Alberto Galassi described Race as "a huge leap forward for Riva and the world of yachting." 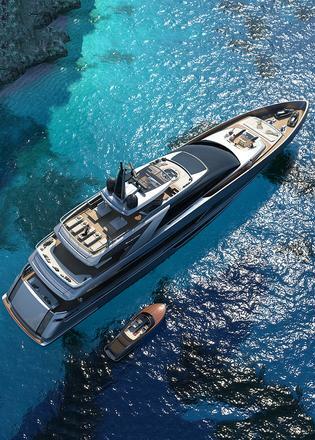 He added: "This yacht and her unique magnificence, amplified by her impressive size, also represents a remarkable achievement for the Riva Superyachts Division, which has built the biggest Riva ever made while meeting and enhancing the brand’s signature stylistic excellence." Developed in collaboration with Officina Italian Design, the Riva Superyacht series will eventually stretch up to 90 metres. The four-deck Riva 50M features accommodation for 12 guests in five cabins, including a main deck master suite. Other key features include a Jacuzzi on the sundeck, a stern garage with enough room to house a Williams Dieseljet 625 tender and a foredeck storage area suitable for a pair of Jet Skis. In an innovative move, the galley is situated on the lower deck, with a central dumb waiter allowing for discreet service to all four decks. 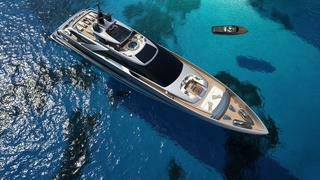 The Riva 50M is reminiscent of classic Carlo Riva motor yachts, inspired by the Carvelle line from the 1960s and 70s. Riva is well known for its classic launches but it's lesser known that between 1960-70 Carlo Riva created four superyacht ranges called Carvelle, Marco Polo, Vespucci and Atlantic. Mauro Micheli, co-founder of Officina Italian Design, previously said: “The first line will clearly draw inspiration from the yachts created by Carlo Riva in the early 1970s; the second will feature an unusual design, with stylistic features that will clearly convey Riva’s unmistakable style, together with a strong, distinctive character." The Riva 50M has been built from light aluminium alloy and will be offered as a semi-custom yacht, with an interior design created to the owner’s choice, something not seen on smaller Rivas previously. 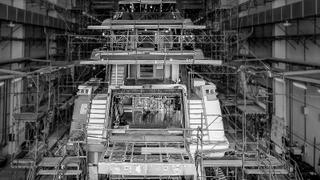 “Not only [does the Riva Superyacht Division] represent an extraordinary leap into the future, but also Riva will once more be able to meet the refined and sophisticated taste of its very demanding owners,” Galassi previously said. 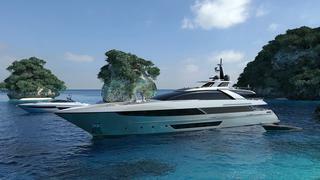 Race's launch comes after Riva launched its first true superyacht and flagship, the 37 metre 122 Mythos named Sol, in 2014.